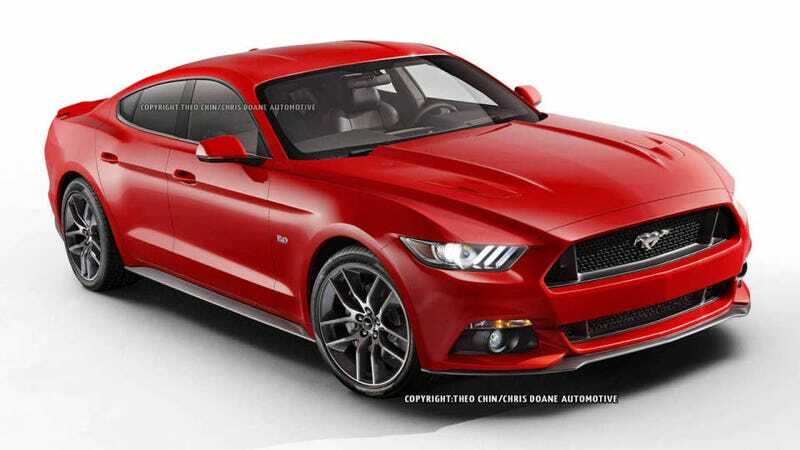 No, Ford isn't planning on welding an extra set of doors to the 2015 Mustang, but if it were, this is what the sedan would look like. Not too shabby. Call us crazy, but we're all about a 420-hp, rear-wheel drive performance sedan with lines like these.